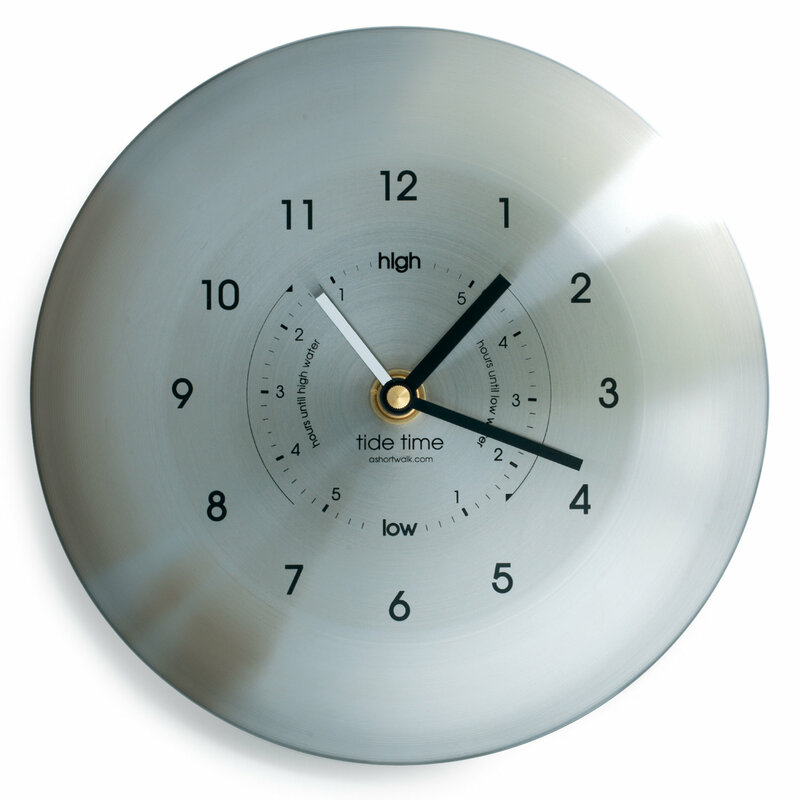 Stainless Steel Time & Tide Clock, made in the UK. An eco friendly clock that tracks the tide cycle & the moon cycle. The innovative and convenient clock tracks the time, and tide cycle. Ideal for predicting tide times and all important harbour tide heights. A great gift for someone who loves the sea. A high quality finish, made form stainless steel and finished by hand. Synchronised to the moons daily cycle, this clock provides an innovative and convenient guide to the tides.